The Florida state park system includes 161 state parks and 10 state trails which cover more than 800,000 acres of diverse landscapes such as beautiful beaches, crystal clear freshwater springs, stone ruins, historic landmarks, estuaries, barrier islands, wilderness areas, caves, everglades and more. Big Lagoon State Park is a lush 705-acre member of the Florida state park system located on the southwest side of Pensacola and north of the Intracoastal Waterway and Perdido Key. 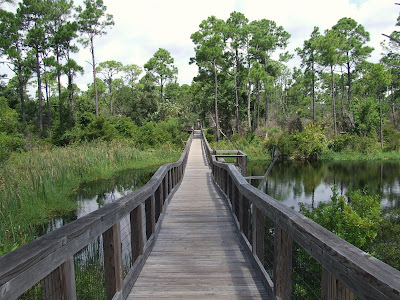 The Florida Department of Environmental Protection manages Big Lagoon State Park and all Florida state parks and state trails through its Florida Park Service division.